Quote of the day : ‘If you can’t afford it, DIY it’ – Ifeoma A.
It’s been such a long DIY break on the blog and that’s because I’ve been really caught up in a lot of things (life actually) that I’ve barely had thing to create but today I present to you (drum rolls) how to make your very own Tzar Inspired Huge Bow Slides!!!! 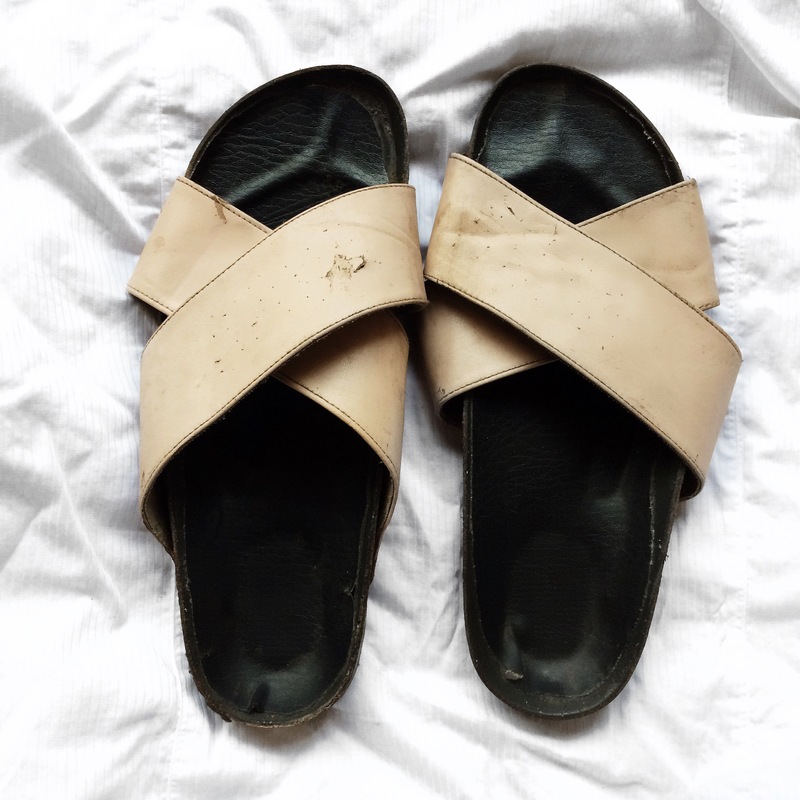 * First I took out the old soles on my slides as the were pink which I think didn’t match the black piece of leather I bought and they were kinda worn out too. 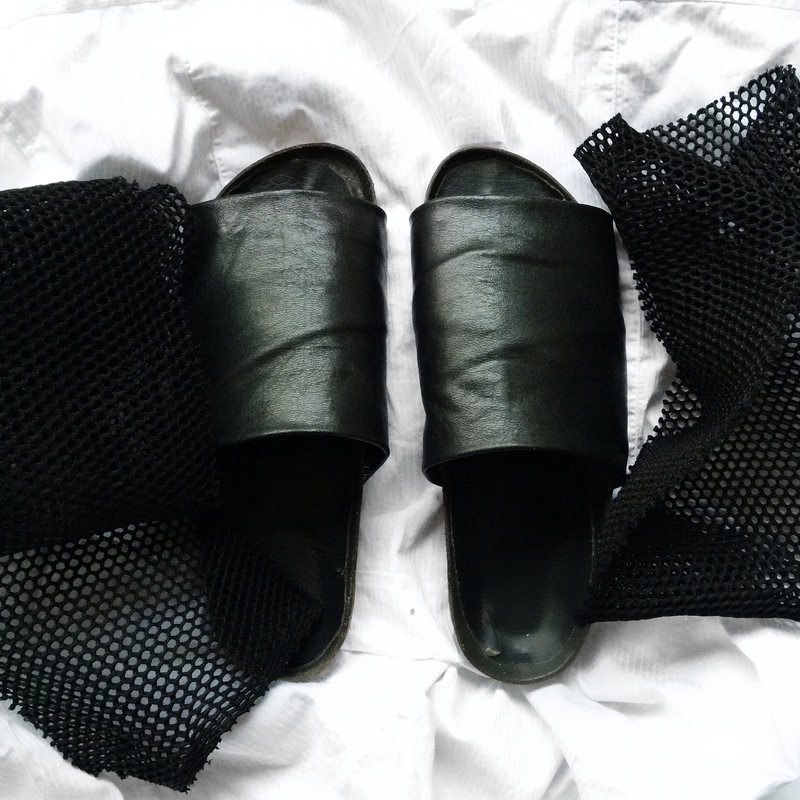 * I then cut the mesh piece into two equal halves and with the two halves I cut them further into two equal halves again and that left me with four equal mesh pieces and I allocated two pieces to each slide. * Then I attached the two pieces to both sides of each slide with my glue, achieving something that looks like a thick short rope. 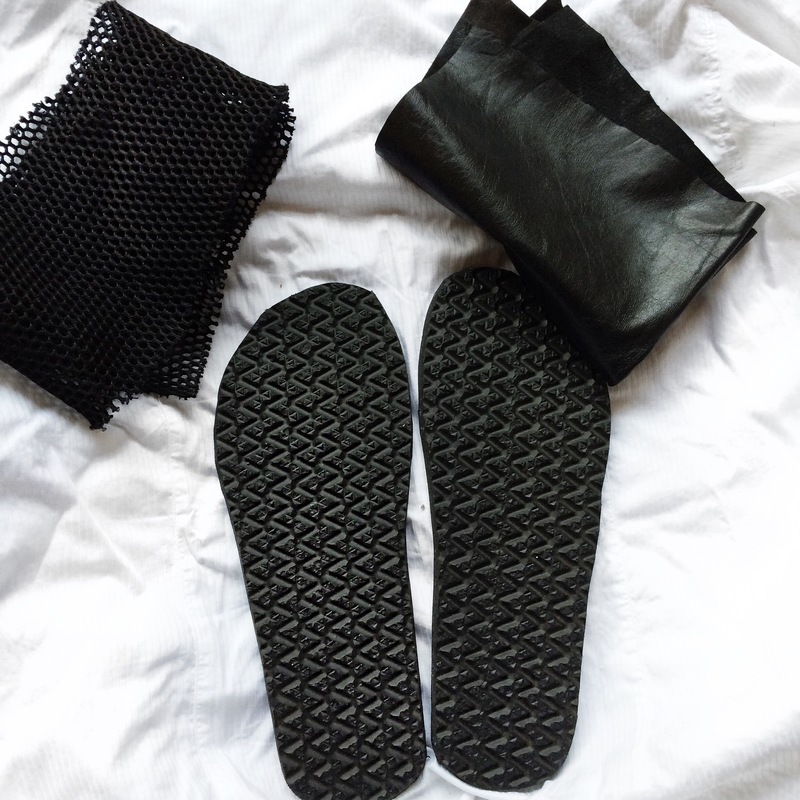 * I then put some glue on my new soles (I had to scratch on the surface a little to aid faster and better glueing), let it dry a little while (2 minutes), then I carefully glued it to the back of each slide. I employed the assistance of a hammer to make sure it stuck in place. * I then made a cute bow with the mesh ropes and voila my slides are to hit the road! 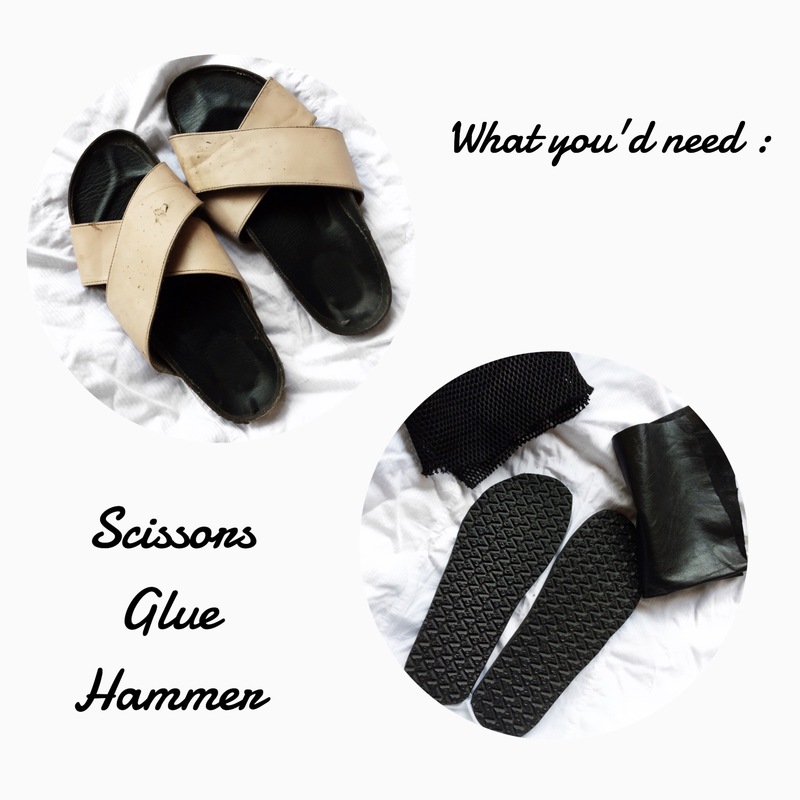 I hope this pictorial is detailed enough to help you make your own pair because I’m totally loving mine so much at the moment and it’s just the perfect shoes to keep your feet in all weekend long, talk of comfortable and super stylish. What have you made lately? 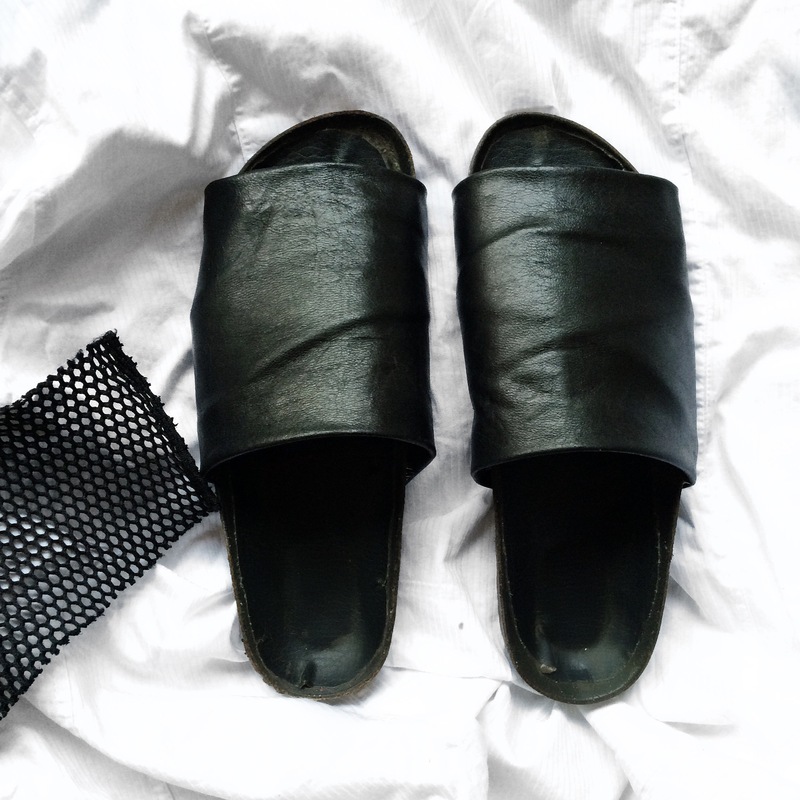 What are your thoughts on my DIY slides? Would you wear this? Do leave me a reply thank you. Wow, dis z super creative, thumbs up gurl 👍 I’d try making one myself cos I’ve had a picture of dese slip-on nd i just admire it evryday wishing i had it, wanted to try creating one but no inspiration, nao u just inspired me, I’m so making mine, pretty psyched about it. Thanks gurl, be sure to let me see yours when you’re done. Come take it if you can. I really love this DAY, I’ve tried to make slides with drama before bit it didn’t work out too well but you just made things easier. Thank you. I also recently posted about DAY Fringe earrings! I’m glad I’ve made things easier for you. Thanks for stopping by. I tots need to know where you get your supplies, I was just about to order these but I think I should give DIY a shot. 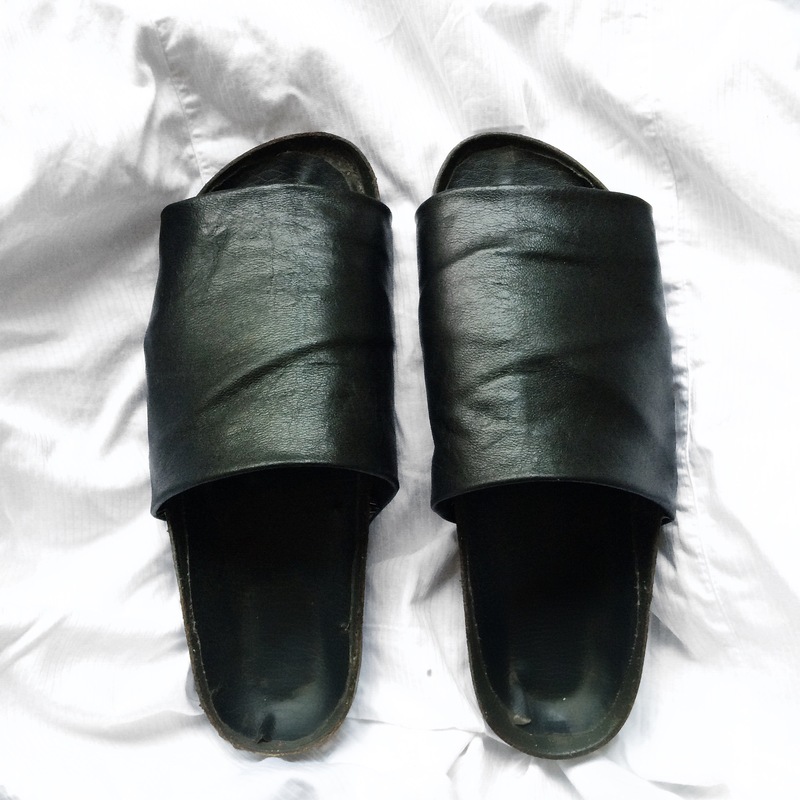 Oh wow love love this, now I want buy some slides so I can just diy lol. L ove it.